Paris (AFP) - Nicolas Sarkozy on Sunday attempted to revive his flagging campaign to reconquer the French presidency next year, vowing to defend the common man if returned to the top office. 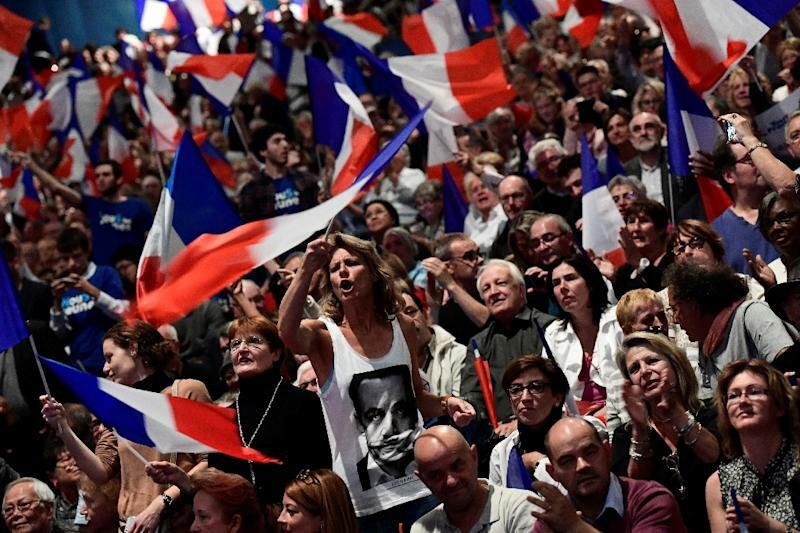 "My aim is the resurrection of the French people," Sarkozy told a packed rally in Paris as his main rival for the conservative nomination, Alain Juppe, stretched his poll lead. Sarkozy accused the ruling Socialists of presiding over the "downgrading" of the economy and vowed he would not "stand by and watch". The right-winger, who showed a taste for the high life as president between 2007 and 2012, cast himself as the champion of the suffering "silent majority" against an "elite for whom everything is fine". He promised to hold two referendums within days of taking office if elected. The first would ask the French if they backed suspending the right for non-EU nationals to join family members in France -- one of the main channels for immigration to the country. The second, Sarkozy said, would ask whether the state should be allowed to jail suspected Islamist radicals, without the prior authorisation of a judge. 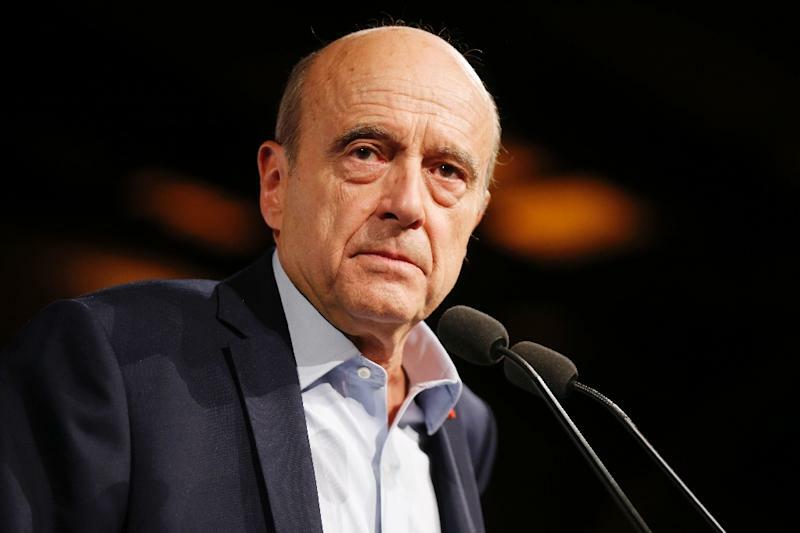 Bordeaux mayor Juppe, a moderate who served as prime minister in the mid-90s, argues such a move would create a "French-style Guantanamo". 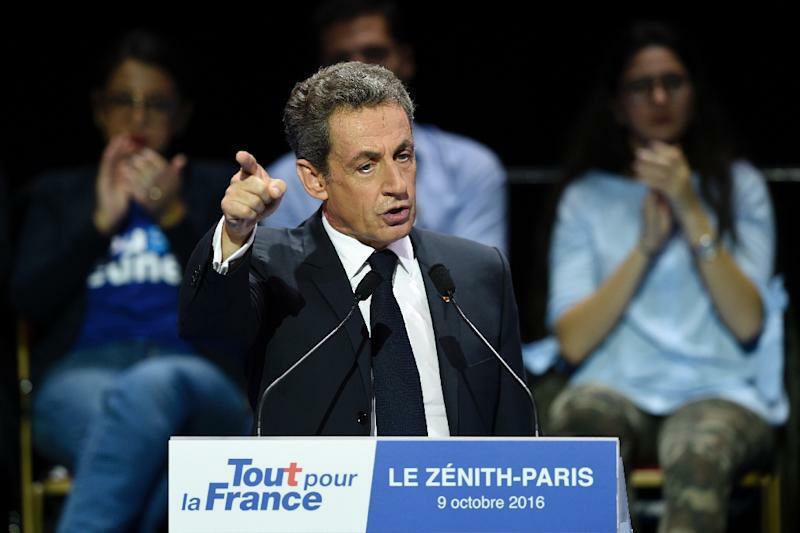 A poll published by France 2 television Sunday showed 61-year-old Sarkozy trailing his 71-year-old rival in the November primary. The Odoxa-Dentsu Consulting survey showed Juppe taking 39 percent of first-round votes compared with 31 percent for Sarkozy. Juppe is also tipped to soundly beat Sarkozy in the run-off of the two frontrunners on November 27. With the ruling Socialists in disarray the winner of the conservative primary is forecast to be the next president, with far-right National Front (FN) leader Marine Le Pen predicted to be runner-up. A number of leftist voters opposed to Sarkozy's return have announced plans to take part in the primary. They have said they will back Juppe. Sarkozy's proposal to hold referendums -- a little-used political tool in France -- contains echoes of the National Front, which has also called for more plebiscites, including one on France's membership of the European Union. Sarkozy has been accused of aggressively courting FN voters with a campaign that plays on widespread fears about immigration and Islam following a string of jihadist attacks that have rocked France in the past two years. On Sunday, he hit out at the "provocations" of a minority of Muslims whom he accused of trying drive an Islamist agenda in "schools, universities, companies, swimming pools, on beaches". But in a noticeable departure from recent speeches his address focused mainly on France's economic and social malaise. The rally followed two difficult weeks for the divisive ex-president. A spurned ex-advisor tore into him in a tell-all book and he was hit by fresh allegations that his 2007 presidential campaign was bankrolled by Libyan dictator Moamer Kadhafi. Sarkozy has persistently denied any wrongdoing.